When it comes to finding the best bed sheets, there are countless options to choose from. Between satin, Egyptian cotton, synthetics, linen, and more, it can sometimes feel impossible to find the right bed sheets for you. That’s why our experts put together this list of the top bed sheets on the market. Shopping for bed sheets should never be an afterthought. After all, there are few household items you use more often than your bed sheets. In fact, most of us spend a third of our lives cozied up in our bed sheets when we go to sleep at night. That’s why it’s so crucial that you invest in a quality set of bed sheets and replace them after their material starts to wear down. Far too often we find that shoppers underestimate the value of quality bed sheets. In many cases, a set of premium bed sheets can make all the difference between an excellent sleep and a restless one. Are you looking for the best bed sheets to ensure a delightful sleep every night? In this article, our experts hand-tested dozens of bed sheets over the span of nearly two months to find out which bed sheets provide the best overall value and comfort. Read on to discover the perfect set of bed sheets for upgrading your sleep quality. Believe it or not, you can’t just run out to the linens store and pick up whatever is on sale if you want to get the best value out of your bed sheets. Instead, you need to do your homework—that means understanding the basics when it comes to bed sheets and the various materials they are made of. First, make sure you take note of the fiber content of ever bed sheet set. Typically, we recommend going with 100% cotton materials (Egyptian cotton if you want to splurge). 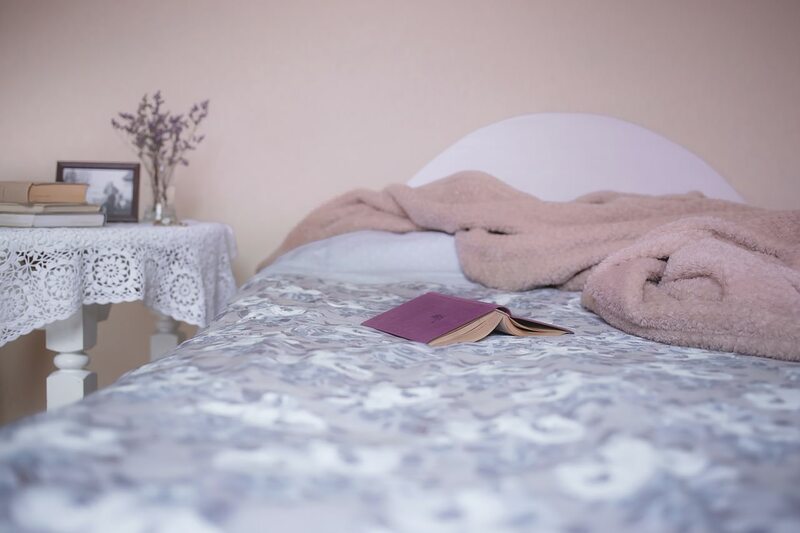 Polyester bed sheets tend to be more affordable and durable, but they are not nearly as soft and can cause irritation if you have sensitive skin. Second, you need to be aware of the thread count of your bed sheets. We find that 350-600 threads are ideal if you want to find the right balance between durability and comfort. On the other hand, sheets under 300 threads tend to be rougher on the skin and over 600 is overkill since the improvement in comfort is hardly noticeable to most. Last, learn the weaves and fits. 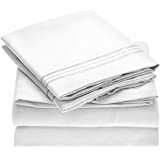 The two most common bed sheet weaves are sateen and percale. Whereas the former is a satin weave that feels silky-smooth, the latter is a lightweight weave assembled in a grid pattern. We recommend testing out both to find the weave you prefer. Also, be mindful that mattress toppers may interfere with ensuring a proper fit. With every product we review, we consider a diverse range of factors to ensure accuracy. For example, we look at factors such as overall value, cost, aesthetics, build quality, fabric quality, weave design, return policy, and more. By examining every product from a multitude of angles, we are confident that we can create the most accurate reviews possible to win your trust. Additionally, we at Best in Bedding pledge to never receive financial compensation from the manufacturers of the products review. Not only is this imperative to maintain neutrality, accuracy, and honesty, but we also think that it is the right thing if we want to earn your long-term support as a reader. Without further ado, let us move onto the main focus of today’s article. Our experts spent weeks testing out all the best bed sheets on the market to help you discover your next set of sheets for a comfortable all-night sleep. Their favorite bed sheets are listed below, along with their subjective rating of each product. If you want to maximize your return on every dollar spent, the elegant yet highly affordable HC Collection 1800 Series Bedding Set is the sheet set for you. Available in a dozen stunning colors, the 1800 Series has a luxurious feel without the price tag to match. In fact, we were stunned to find out how inexpensive these sheets were after we tried them out. After taking these bed sheets out of their packaging, we knew we were dealing with a premium product that wouldn’t break down or tear any time soon. These sheets are made from 100% double-brushed microfiber fabrics that offer the same degree of silkiness as pure cotton but at a fraction of the price. Plus, they are hypoallergenic, so they resist molds and dust mites. Overall, we were delighted with the quality and value of these bed sheets. In fact, these sheets were superior to some of the Egyptian cotton sheets we tested, even though those were several times more expensive. Plus, this set includes luxury pillowcases for complete, visually stunning bedding. Available in eight colors, the Mellanni 1800 Bed Sheet Set provide lots of value for a low cost. These brushed microfiber sheets feel durable in your hands and are designed to resist strains and tears. Although we only have the privilege of testing them out for a couple of nights, we were confident that these sheets would last multiple years without wearing down. One of our favorite aspects of this bed sheet set is their appearance. These sheets are delicately woven to produce a beautiful grid-like pattern that has the same old-school charm that reminded us of the sheets our parents used to buy. Featuring four pieces in a set, the Mellanni sheets are easily foldable and have deep pockets for an easy fit around the bed every time. Whether you have a twin size bed or a California king, there is a Mellanni bed sheet set that suits your needs. We recommend going with this brand if you want comfort, elegance, and ease-of-use all in one affordable set. Our only complaint is that we wish the pillow cases were sewn better around the seams. If you want the ultimate in luxury bedding without splurging over your budget, we recommend going with the Chateau Home Collection 800-Thread Sateen Sheets. 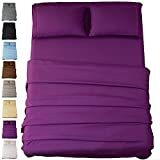 These sheets are available in dozens of colors to satisfy whatever aesthetic theme you have in your room, while also being backed by a risk-free 100% Satisfaction Guarantee return policy. 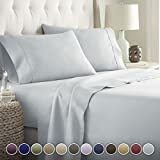 Made from fine Egyptian cotton, the Chateau Home Collection sheet set is among the smoothest and most elegantly crafted bed sheets available on Amazon. Although we do not usually recommend going as high as 800 threads when it comes to cotton bed sheets, this set is a clear exception. In this case, the sheets are noticeably smoother than 500 thread sheets. Overall, we loved our experience sleeping on the Chateau Home Collection 800-Thread Sheets. We would recommend these sheets for anyone that wants to enjoy the luxury of premium Egyptian cotton and the durability of a sateen weave style. However, shoppers should be mindful that extra precautions need to be taken to properly wash and care for these sheets. 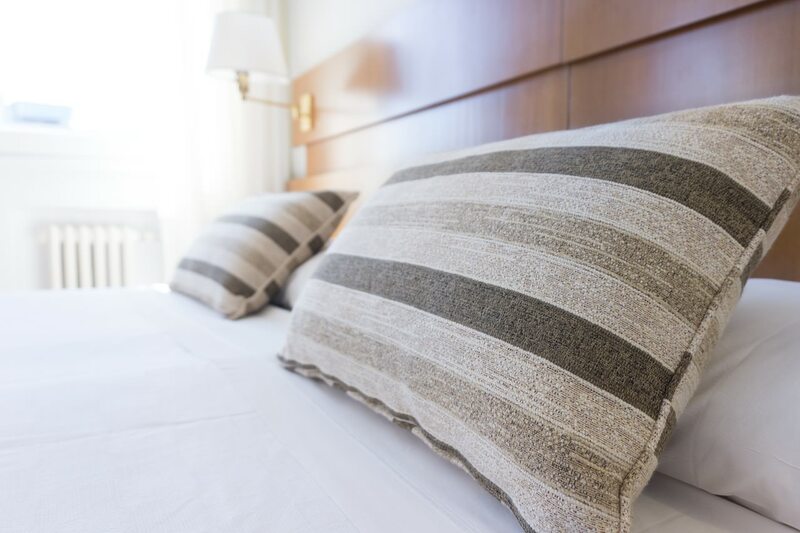 Although we are usually skeptical of bed sheets that are advertised as “hotel luxury” quality, the Empyrean Bedding Premium Hotel Luxury Bed Sheets live up to the title. These sheets are made of fine brushed microfiber fabrics that we originally assumed was pure cotton. We were surprised to learn that these sheets weren’t made of 600-thread Egyptian cotton. If you want a superior quality bed sheet set without buying a cotton product, the Empyrean Bedding Premium Hotel Luxury Bed Sheets may be the choice for you. However, we were disappointed by the lack of color varieties available in this style. Nonetheless, these sheets are plainly colored and offer enough versatility to look good in almost any bedroom. We were pleased to find that these sheets have a strong elastic fixture at each corner to ensure a perfectly snug wrap around the mattress. This is a welcome addition that we would like to see in future bed sheet sets because bed sheets tend to pop off far too often, especially if you use a mattress topper. It can be difficult to find the right balance between durability and comfort. However, with the California Design Den 400-Thread Cotton Sheet Set, this is no longer the case. These bed sheets are made of 100% long staple cotton to ensure maximum comfort while also featuring a fine sateen stitch weave for added toughness to resist tearing. Normally we wouldn’t elect to sleep on 400-thread cotton bed sheets, but these sheets are a rare exception. Unlike most other cotton sheets under 500 threads, these bed sheets are soft to the touch and do not cause any irritation when rubbed against the skin. Plus, their lower thread count makes for a hassle-free machine-washing experience. While are certainly softer cotton bed sheets available on the market, these sheets are among the best if you have a no-fuss, low-maintenance sheet set. For their ease-of-use alone, we rank the California Design Den 400-Thread Cotton set among the best bed sheets available today. The Sonoro Kate 1800 Thread Microfiber Bed Sheets provide stand-out value to shoppers because they include an additional two pieces in the set. This is because they feature four pillowcases instead of two, as well as the standard fitted sheet and flat sheet. For this reason, they are recommended to those who have lots of pillows and want to make the most of their money. One issue we had with this sheet set was its susceptibility to breakdown in the washing machine. Although the manufacturer claims that it is 100% machine washable and can be washed in cold water and tumble dried, we found that a lot of lint was released in our drier from these sheets. This is a cause for concern as this is usually the first sign of breakdown in bed sheets. Ultimately, the Sonoro Kate 1800 Thread Microfiber Bed Sheets are a reasonable option for budget-minded shoppers who are looking to get the best deal possible. Unless you own a twin size bed, it is likely that you have more than two pillows. If that is the case, then we recommend checking out this sheet set to ensure you get enough cases for each pillow. The experts at Sleep Restoration have created one of the most eco-friendly bed sheets on the market with the introduction of their Luxury Bed Sheets with Aloe Vera. 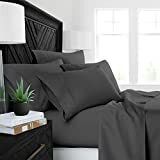 Infused with fresh-smelling aloe vera, these bed sheets are available in a beautiful four-piece set and are made of allergen-resistant microfibers. 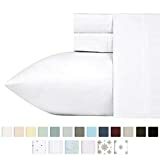 As one of the highest-rated bed sheet sets on Amazon, this product certainly joins the ranks of the best bed sheets on the market. There is perhaps no greater testament to the quality of these sheets than its 90%+ positive review rating, which is exceptionally rare in the linens and bedding industry. For this reason alone, we think these eco-friendly bed sheets are worth testing out for yourself. 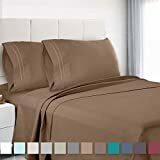 The Elegant Comfort Luxurious 1500 Thread Bed Sheets are one of the best-selling bed sheets on Amazon, and for a good reason. These bed sheets feature as astounding 1500 cotton thread count and deep 16-inch pockets for maximum durability and elasticity around the mattress. 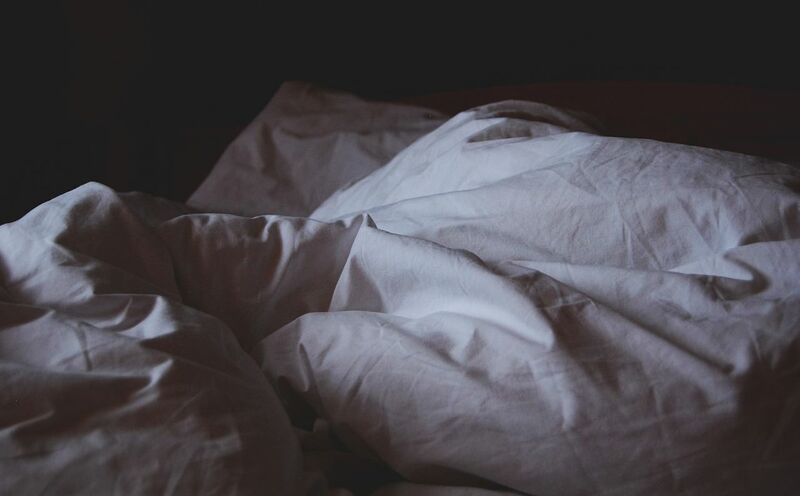 Although we enjoyed sleeping on these bed sheets, we found they lacked breathability, which might make them difficult to sleep in during the hot summer months. Nonetheless, if you want a budget-friendly solution for your bed during the winter, we recommend giving these luxurious bed sheets from Elegant Comfort a try. If you don’t love them, they can be easily returned.